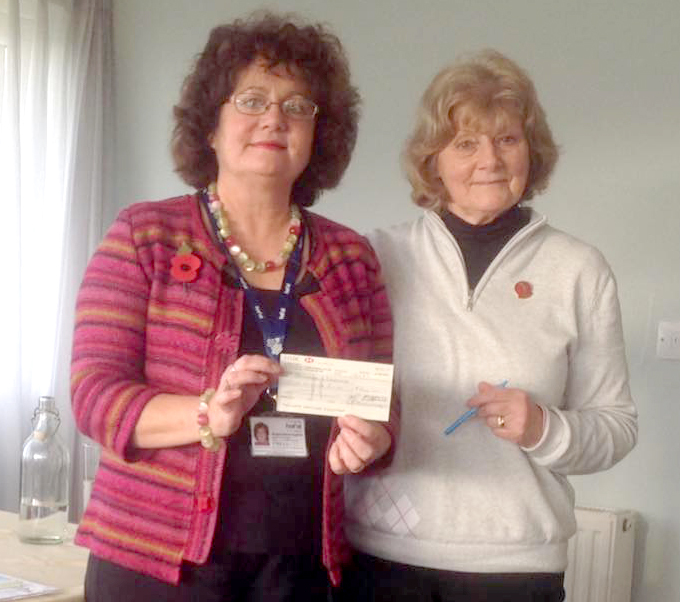 Hafal Crossroads Regional Manager Sharon Houghton received a warm welcome from female golfers at Newport Golf Club today to receive a cheque for £500 from Lady Captain Marilyn Scott for Hafal Crossroads respite services in Pembrokeshire. Marilyn chose Hafal Crossroads as her charity of the year because we cared for her father and gave her break-time for herself. Sharon said: “I was very touched that we are remembered after all this time and heartened to know we made a difference. A big Thank You Marilyn and all the ladies!